The time has come for a shift of the season. As we now take time to adjust to the change at hand, it is a good time to meditate on your path forward. The past 3 months have been a time of deep “house cleaning,” globally, collectively, and individually. This has been a time of intensity, sharp turns, decision making, and emotions. A time of deep clearing of who we are, where we have been, and where we are going. In order to have the lives we choose, we are asked to release the past. The past wounds, the past failures, the past self-esteem, the past value. All the parts, things, and aspects of your life that you will not be taking with you on your next journey, are now leaving or have left your life. This Equinox brings a strong influence and highlights relationships. All relationships are now under review and revision. Whatever relationship is not in your highest alignment is going through a deep clearing. *Some relationships will carry forward stronger than ever. *Others will dissolve and disintegrate. *Some will disappear without warning. *Others will stabilize and harmonize. On a Spiritual level 2018 has been a year of “undoing,” to “re-do,” and what distracts us on our highest path. It has been a year of deep awakening, core healing, and standing strong in the name of love. This has been a year of deep reflection and the issues of our past have come up to be completed. To choose to go forward into the unknown; or continue, in the pain of the old and tried. No matter the situations, we are asked to always choose. Sometimes life squeezes us into situations where we must “choose,” those choices are not always easy. Many times they are downright hard knocks. But, at some point, decisions have to be made. Alignment happens or doesn’t, and risk is always the choice. Every great choice requires a risk. A risk on a dream. A risk into the unknown. Sometimes those “risks” pay off greatly, other times they flop, but always they lead us to the evolution. We are now at the doorway of the Equinox, if you live in the Northern Hemisphere we are shifting from the hot fiery summer, to the cool winds of fall, for those in the Southern Hemisphere, you are shifting from the cold of Winter to land into the rebirth of Spring. Together we are complete the Medicine Wheel. The sacred directions of North, South, East, and West. We are a mirror of greatness and in order to shine, we must experience the polar opposite to shine bright. 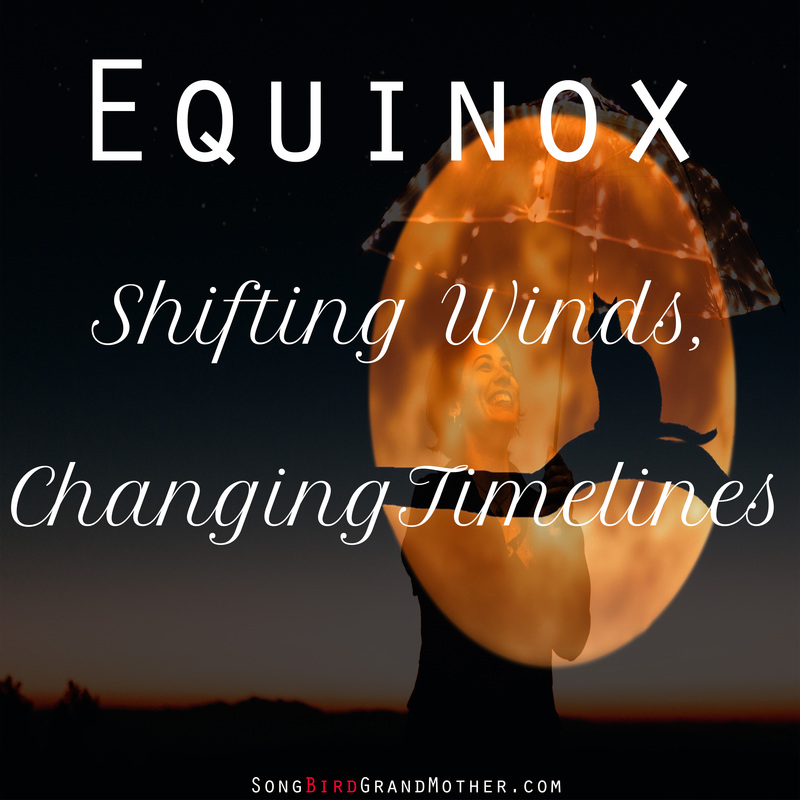 Equinox is a time where we balance the light and dark,and shift to new decisions and choices. This is a time to balance the Spiritual and Material to harmonize all areas of our life. Just as the winds shift, we shift too. Where we shift is a combination of picking the course, setting the sails, and moving in the direction where the wind will carry us. As we prepare to enter into this sacred door, take a moment, breathe, and choose your timeline. Will you be going towards love? This is always the choice. These past few days, I feel so lost, a little afraid, yet, a little excited at the outcome .. Your awareness, your inspiring words, your constant information has helped me along this incredible journey … that I take alone … but with faith, trust and belief ..